The Don Valley Hub is a school and community project that is based on the site of the old Don Valley Stadium. It will have room for over 1,200 students from 2 to 16 years of age with the potential to expand in future to include a college. The state of the art facilities include community areas and is designed to help regenerate the wider area. In order to support such a vast facility a large boiler and plant room has been incorporated in to the design. 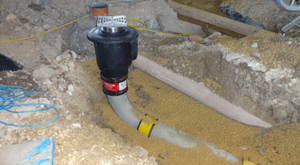 Naylor Thermachem drainage has been used under floor channels within the boiler and plant room to handle any spills or leaks from the plant room equipment. 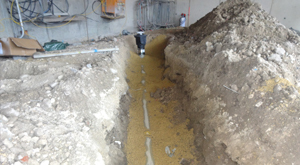 The main concern is with thermal shock and Naylor Thermachem has been used for a short run to handle the initial thermal shock, before connecting in to Naylor Densleeve clay drainage. 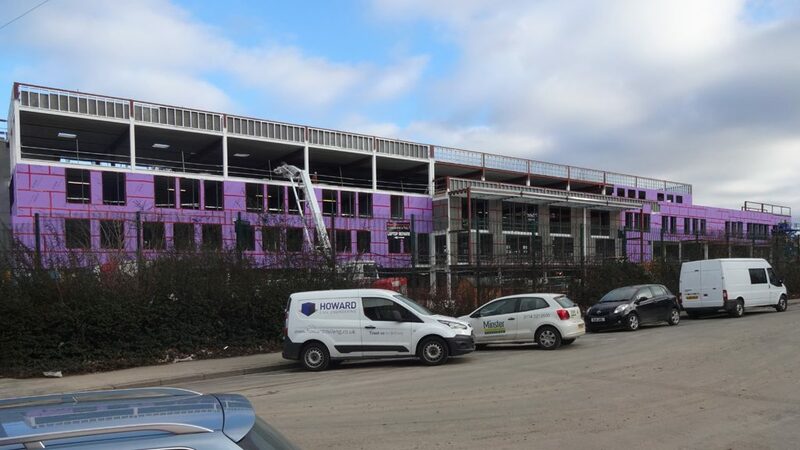 Groundworkers for Howard Civil Engineering said the Thermachem pipes were very easy to work with as they cut easily without shattering and were easy to join with push fit chemical couplings.